The Beauty Studio offers the legendary British Ear Piercing specialists - Caflon, who are the manufacturers of the most widely recognised piercing system in the world. 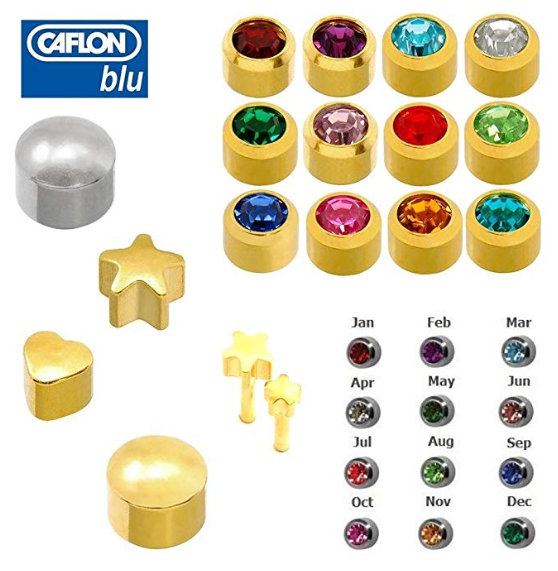 Caflon earrings are of superior quality and are individually packed and pre-sterilised with no contact for loading prior to piercing. This ensures a 100% sterile system, which is thoroughly safe and hygienic. All ear piercing treatments include a complimentary bottle of Natural Solution - which is a specially formulated lotion to care for newly pierced ears and full aftercare advice is given. Minimum age for ear piercing is 4 years old and children under 16 years need to be accompanied by a parent or guardian. Our premises is fully licensed and registered by the Local Authority and comprehensively insured to carry out this procedure. 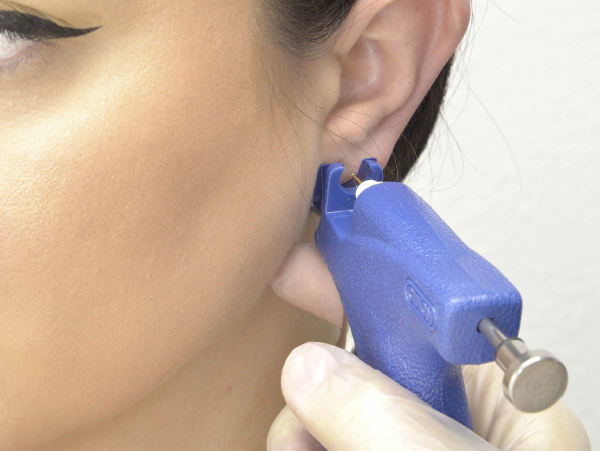 Our ear piercing professional is fully trained to ensure that they meet all safety regulations and requirements. 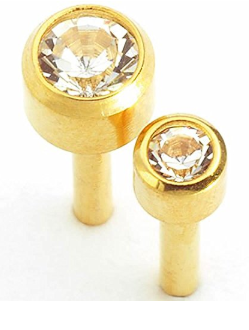 We offer an extensive range of earrings to include different shapes, colours and sizes that are all 100% hypoallergenic.